Keynote Speaker: Peggy Fogarty, Executive Director at Keystone Development Center. Ms. Fogarty has expertise in strategic planning and organizational development for farmer groups. All NJ Farmers currently growing hops and NJ Farmers considering growing hops are invited to participate in this initial meeting to discuss interest in the creation of a NJ Hops Grower Association. 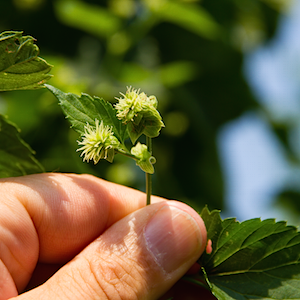 Network with fellow hop growers to gain a deeper understanding of what’s going on with hops in NJ, financing opportunities, and industry needs. For further questions, contact Ag Agents William Bamka or Michelle Infante-Casella.